Eight or so years ago, young filmmaker Colin Levy got an opportunity of a lifetime. 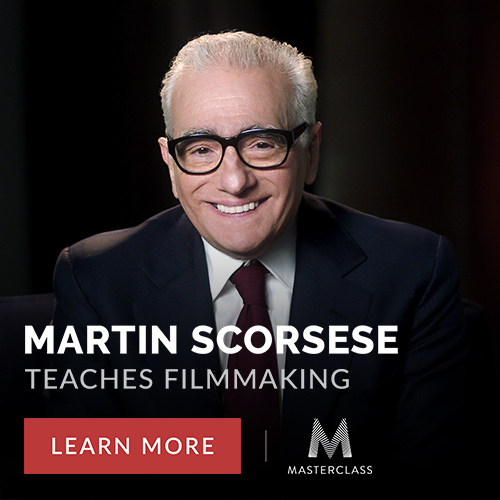 He got a one-on-one meeting with Martin Scorsese. After spending much of his time in high school making a five-minute short, Levy won the national YoungArts award -- and, with it, the chance to chat with the guy who directed Goodfellas, Taxi Driver and Raging Bull. After getting a personal tour of Scorsese’s office and editing bays by none other than legendary editor Thelma Schoonmaker, Levy met the man himself. “It was a defining moment in my path as a filmmaker,” he later wrote on his blog. 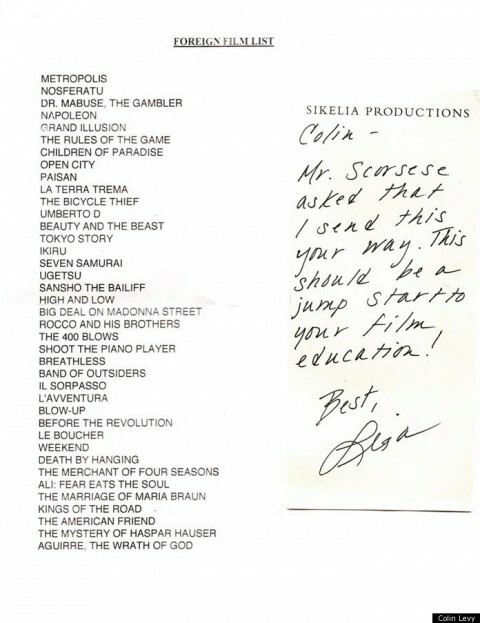 Scorsese’s selections – which you can see above – are a fascinating insight into what influenced the filmmaker. Several movies are perennial film school classics: Italian neorealist masterpieces like the Bicycle Thief and Umberto D pop up on the list along with groundbreaking French New Wave works like 400 Blows and Breathless. More unexpected is surprisingly strong showings of both Japanese post-war movies and New German cinema. Both Akira Kurosawa and Rainer Werner Fassbinder get three films each. And while there are some rather eccentric, unexpected inclusions in the list–Rocco and his Brothers? Il Sorpasso? Death by Hanging? – there are also some pretty striking omissions; big name art house figures like Ingmar Bergman, Robert Bresson and most surprisingly Federico Fellini didn’t make the cut. In any case, as Scorsese’s assistant writes, this list is a great place to start for anyone looking to learn more about foreign film. At least the first few films on the list you will find in our collection, 1,150 Free Movies Online: Great Classics, Indies, Noir, Westerns, etc.. I wouldn’t read too hard into any “omissions.” We all know how list generating goes…you either labor for way too long, entirely aware of what you might be missing due to either length constraints or brain blarts, or you have a great time just generating the list in your brain at that given moment. A bit impressed and entirely heartened to see genuine communication going on. And while I can’t be Colin, it sure is fun to get a look at the note. Now off to see the titles I haven’t yet. Or at least at them to the “to see pile.” Because you know how THOSE go. I’ve seen these films and I could sign the list. But ‘Rocco and his Brothers’ should be no surprise: an epic melodrama about Italian economic migrants, boxing, and brotherhood. Does anyone happen to know who featured our post on Facebook today? Can we see the list of books, too? Would love to know which ones he recommends. No Bunuel. No Bergman. No Tarkovsky. the best 3 film-makers ever. Scorsese’s book suggestions would be more interesting.